By Artist Maria Qamar - Burning is better than not trying. Burn on, friends. I signed up to write at least one blog post a week and for the most part, I've done it. Though, there are periods where there are more than 7 days between posts. There are times when I think, "Omg, I have a blog." I realize one of the reasons I haven't been blogging is because it was feeling as if what I wrote wouldn't be good enough. Lately, I haven't had a lot of interesting things to share, it's why I signed off of Facebook for Lent. I feel as if my head is bowl of sticky noodles and I can't get my thoughts straight. 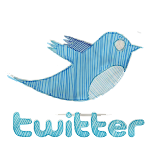 When I come to blog, I think, "What could I say that is interesting or useful?" And then decide to turn on Queer Eye and eat pistachios. 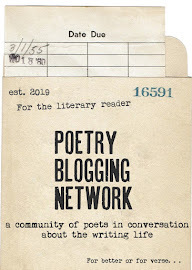 It occurred to me today (and maybe because it's National Poetry Month and I'm writing a poem a day) that I need to lower my standards a bit on this blog, especially if I want to get a post a week. There is a quote that "good is the enemy of great," meaning that sometimes we take adequate quality over something. But "great" or "perfect" is the enemy of "done." Even if I'm average blogging, I'm at least getting something on the page. One line to a poem is more than not writing. I once knew a person who started a lot of projects and always had something new in the works (a novel, a book of poems, a screenplay, etc.). Problem was, they never finished anything. I think they were dealing with perfectionism there, some childhood baggage from a parent I think. I remember thinking--I'd rather be done and fail than to not complete something. I remember thinking I'd rather have one completed project in five years than ten false starts, ten well-I-didn't-finish-that-one. For me, not trying is failing. So that brings me back to this blog, I'll show up here weekly with my swimcap on and hopefully what I write will be of interest, or useful, or give you hope, make you smile or make you think. It may not (and most likely won't) be perfect. But by the end of the year, I'll have my promised 52 blog posts and hopefully, maybe a couple more.